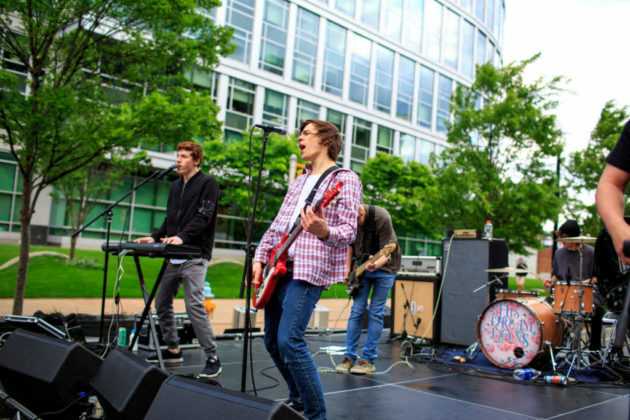 Quarterfest presented by Dittmar is coming to Ballston on May 18 and 19. 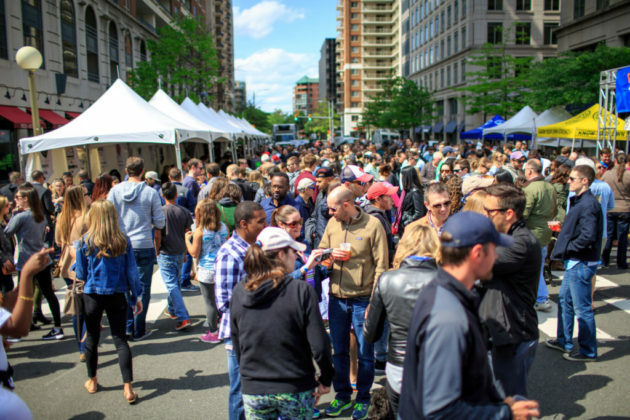 From 12-6 p.m. each day, this festival continues Ballston’s tradition of giving back, as a charitable event of BallstonGives, and invites visitors to sip, sample, shop and savor the best that Ballston has to offer! Located on Wilson Boulevard near the Ballston/MU metro station, and directly in front of the newly redeveloped Ballston Quarter — an entertainment and dining destination, the festival will feature a Quarterfest Crawl on Saturday, Curbside Kitchen‘s Food Truck Alley on Sunday, street pub all weekend serving up craft brews, wine and specialty cocktails, and a free concert. 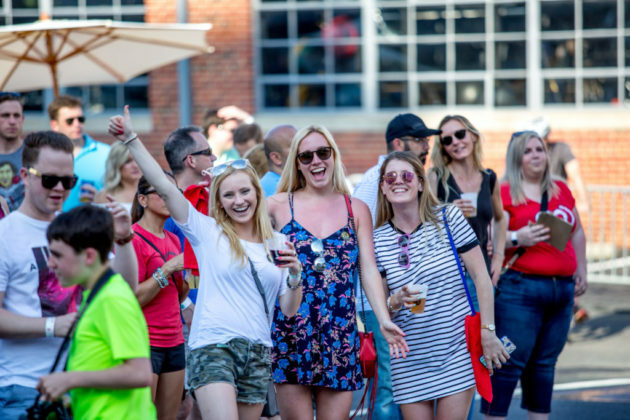 New to the neighborhood, the Quarterfest Crawl will allow festival-goers to explore the neighborhood, sampling “tastes” at each participating venue with purchase of a Quarterfest Crawl wristband. 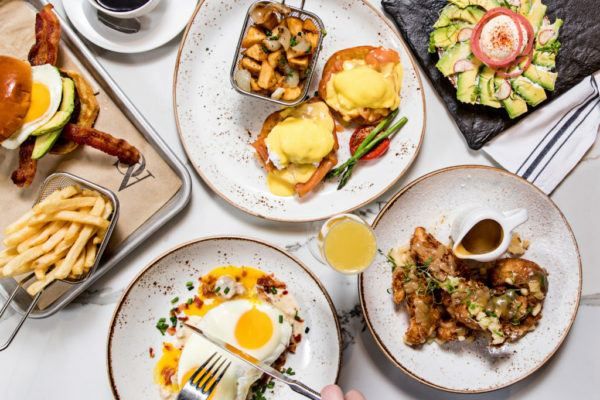 Food crawl venues include established Ballston favorites such as SER and Mussel Bar, and neighborhood newcomers DIRT, True Food Kitchen, Punch Bowl Social and more. Additionally, the Crawl wristband entitles visitors to exclusive retail discounts and giveaways of experiential activities at Cookology and 5 Wits, plus two free drink tickets to use at the street pub. 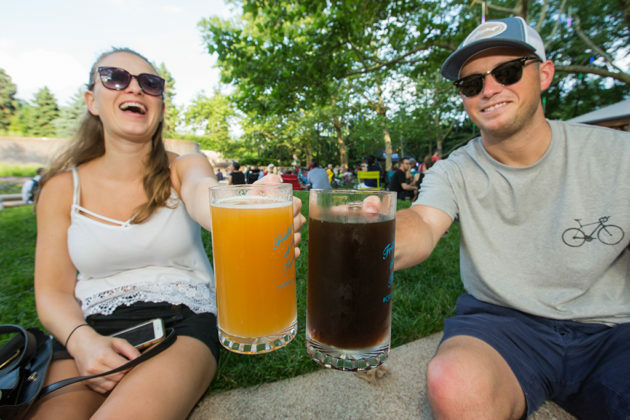 The festival and concert are free and open to the public, but festival-goers will need a wristband and drink tickets to savor the food and drink experience at Quarterfest. Tickets and wristbands are now on sale at “early bird” pricing until May 1. 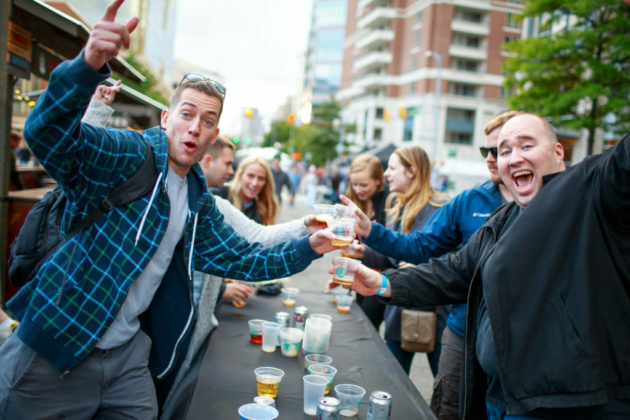 You can find out more about Quarterfest Crawl locations and what will be coming to Ballston May 18 and 19 at https://www.quarterfestballston.org/. Buying your first home is a huge step, but it doesn’t have to be stressful. 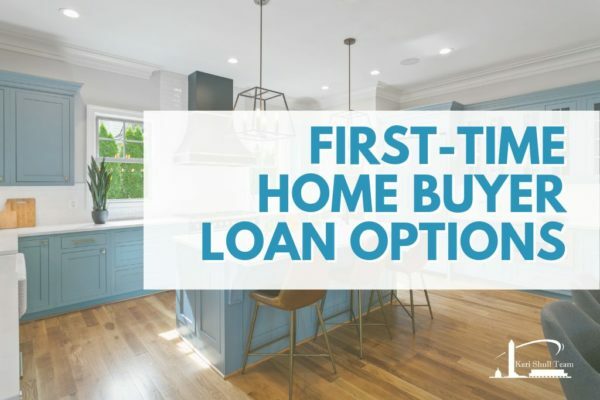 These days, state and federal programs exist to help home buyers like you secure competitive-rate loans — and they can connect you with plenty of resources on financial incentives, tax credits and federal assistance that can reduce the cost of your home mortgage. Federal Housing Administration (FHA) — First time home buyers can get approved for as little as 3.5% down. HomeReady and HomePossible — 3% minimum down payment, reduced rates and private mortgage insurance for certain buyers. DC Open Doors — on-amortizing down payment assistance loan at 0% interest, as well as below-market interest rates for first trust mortgages. 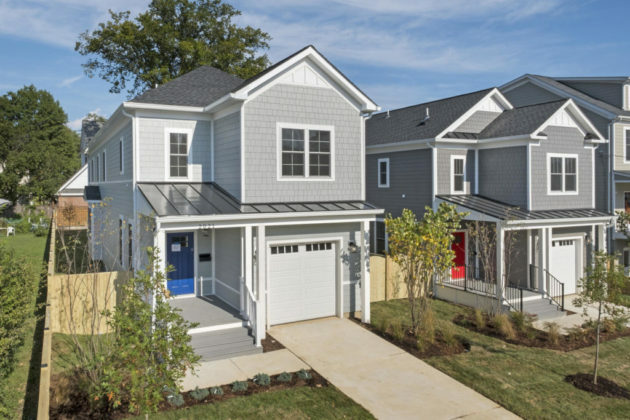 Virginia Housing Development Authority (VHDA) — provides eligible homeowners a 2% to 5% grant toward their down payment. Maryland Mortgage Program (MMP) — allows borrowers to pay off their outstanding student debt as part of the home purchase. To learn more home financing options, attend the upcoming Home Buying Seminar on April 22 in Arlington. 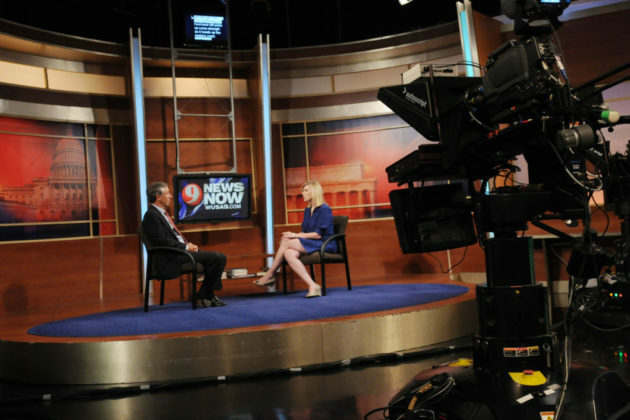 12-month home buy-back guarantee — purchase with confidence! The first 3 to attend will receive a gift card to Barley Mac restaurant! When: Monday, April 22 at 6 p.m. WHEN: Every Friday, May through October — 5-9 p.m.
Open every Friday starting in May, Fridays at the Fountain features a fantastic selection of beer and wine, live music from local bands and musicians, and a rotating lineup of local restaurants and food vendors brought to Crystal City by The Stand. Attendees also have the option of joining the Fridays at the Fountain “Mug Club” featuring a 16-ounce, branded mug, while supplies last. The Mug Club is $10 and comes with a reusable glass mug and your first drink! 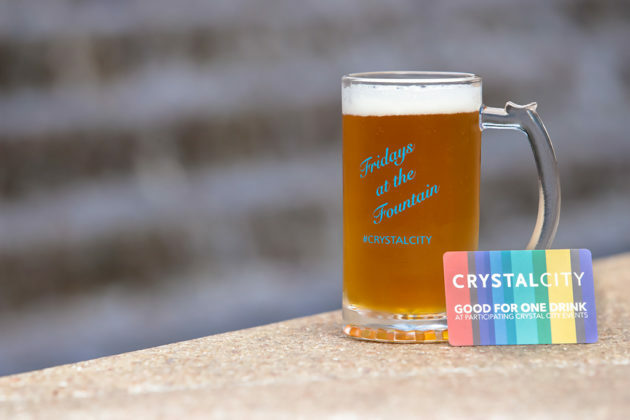 Mug Club members will get discounts on draft beers for the entire Fridays at the Fountain event series (May-October). Buy your mug today for 1/2 price and enjoy 16 oz pours for the price of a 12 oz beer all summer long! 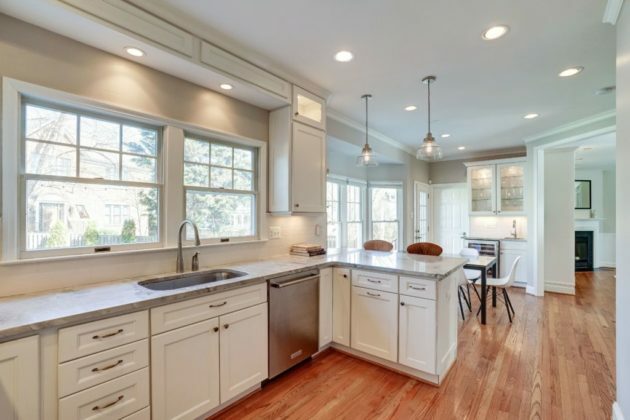 Filled with character and light, this renovated 1930s colonial offers a sparkling new kitchen, new bathroom and new powder room. 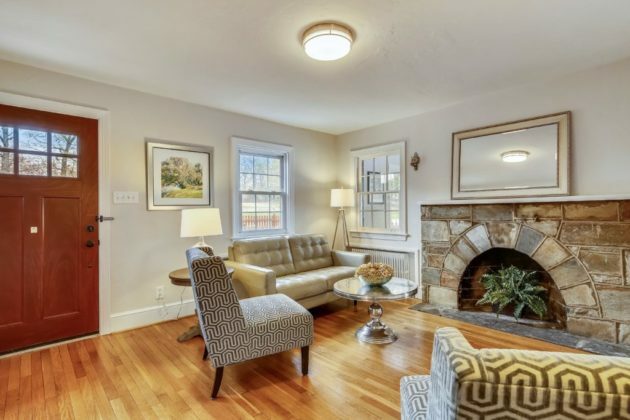 The focal point of the large living room is the stone wood burning fireplace, accented by vintage sconces. A breakfast bar separates the spacious dining room from the kitchen and is ideal for casual dining or serving space. Crisp white cabinets, granite tops and vinyl flooring in the kitchen along with a door to the patio. 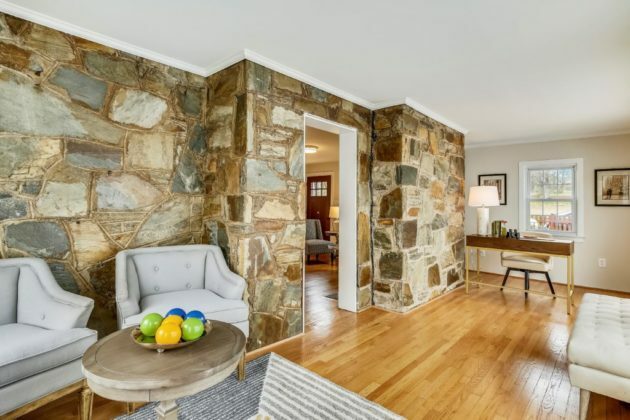 Just off the living room is a sunroom with one stone wall and another of windows. A door opens to the patio and back yard with garden shed. Upstairs there are three large bedrooms and a renovated bathroom. The master bedroom has double closets, and the second bedroom has built in drawers and shelving. 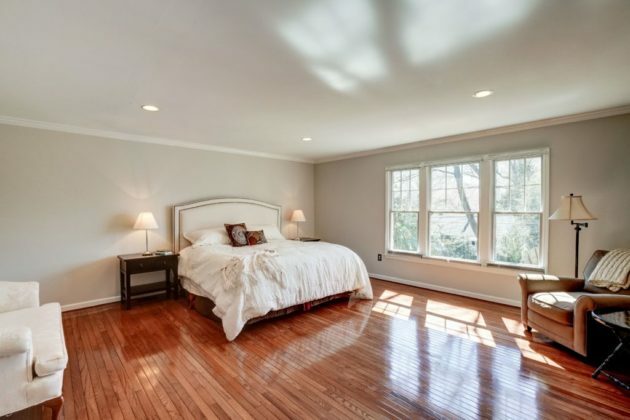 Refinished wood floors continue from the main level through the bedroom and gleam in the abundant sunlight. 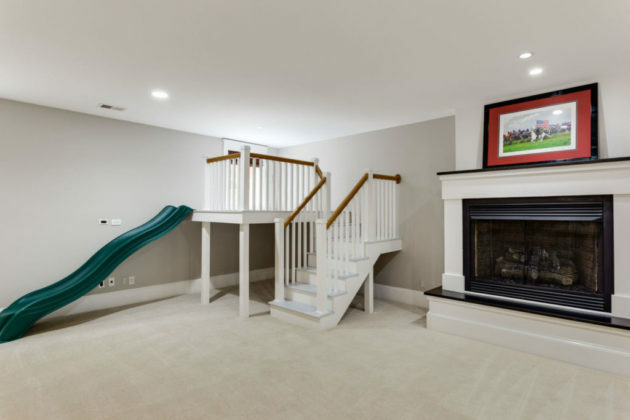 The unfinished basement has high ceilings, windows and expansion potential: rec room, office, playroom, gym, hobbies, crafts — the space awaits. 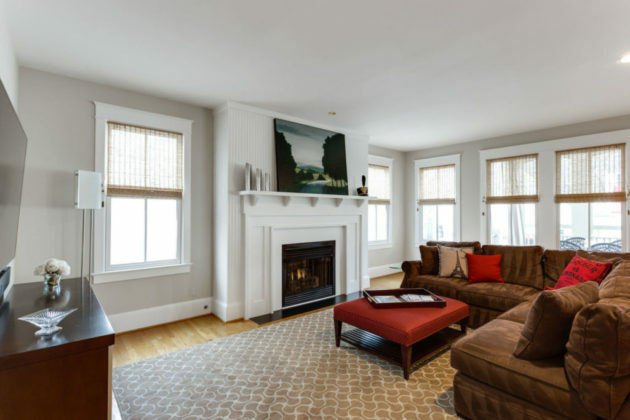 Desirable details include relined chimney, new electric panel box, fresh interior and exterior paint, refinished wood floors and light fixtures. 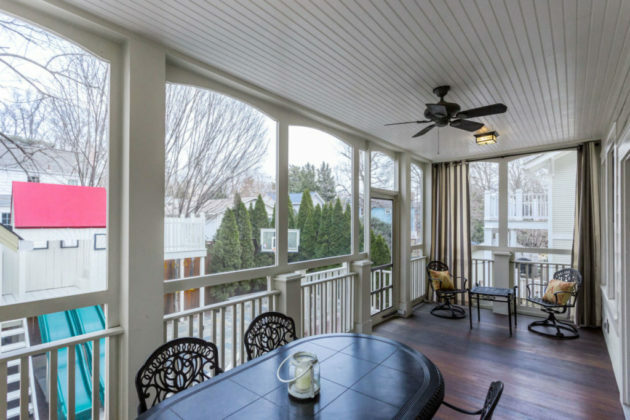 Double pane windows and radiator heat ensure comfort in the home. Arlington County’s new Alice West Fleet Elementary School is being built behind the home, and the County will install a tree buffer between the school and bordering homes. Children can now walk to both an elementary school as well as Thomas Jefferson Middle School. 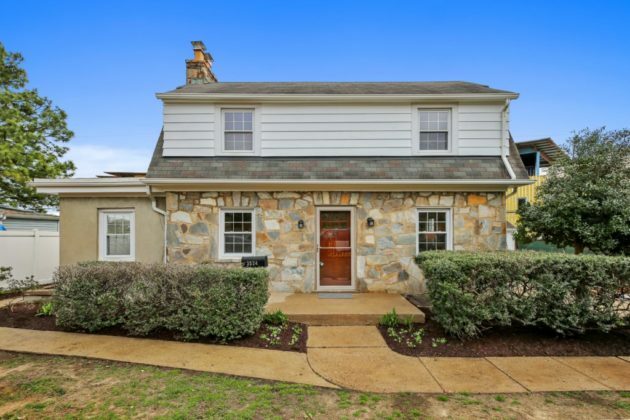 Easy commute to Washington, Rosslyn-Ballston business corridor, Pentagon, Fort Myer, airport, Pentagon and Crystal Cities, and the Foreign Service Institute. 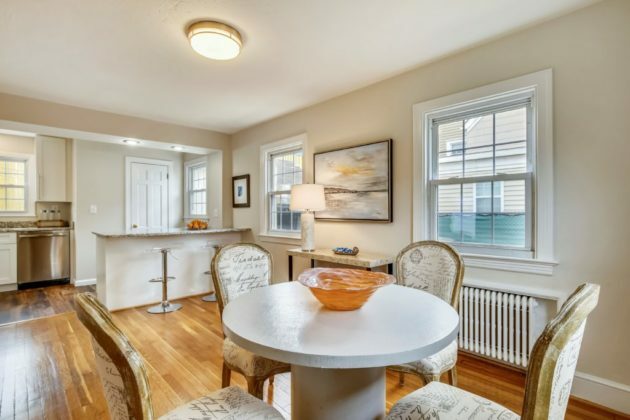 A pristine home in desirable move in condition. Discover Arlington’s ultimate brunch experience in fyve Restaurant Lounge, located on the lobby level of The Ritz-Carlton, Pentagon City. Indulge in seafood & sushi stations, artisan meats & cheeses, signature favorites such as crab cake sliders, pain perdu, shrimp & grits, a build your own Bloody Mary bar and much more. April Special: 15% military discount offered (with valid I.D) & a complimentary glass of bubbles for anyone over 21 years. Every Sunday, excluding holidays, from 12-2 p.m. Starting at $55 per adult, $29 per child (ages 5-12). Washington Boulevard will transform into an art-lover’s paradise during the 7th Annual Arlington Festival of the Arts on Saturday, April 13 and Sunday, April 14 from 10 a.m.-5 p.m.
One hundred and fifty national and international artists are set to display their fine works from across the globe in a prestigious show encompassing fine jewelry, exquisite works of art and hand-crafted apparel and decor. 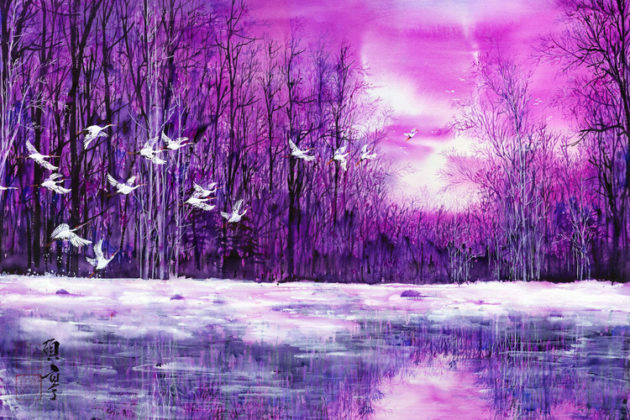 Whether your passions run to sparkling jewels and one of a kind paintings, crafted glasswork or to an art deco sculpture, you are sure to find it during the free, two-day event. Ample parking is available and pets on leashes are always welcomed. 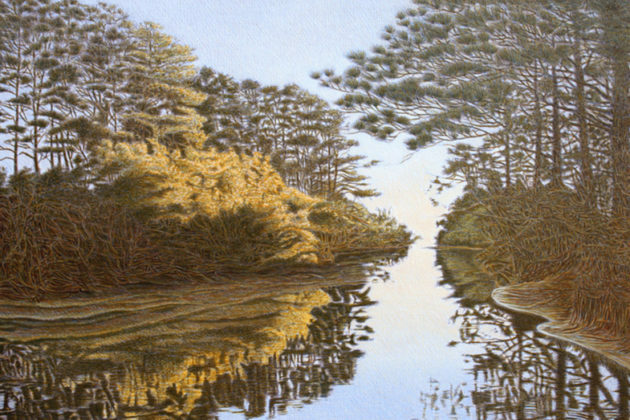 Presented by Howard Alan Events (HAE), producer of the nation’s finest juried art shows, the 7th Annual Arlington Festival of the Arts represents original, hand-crafted artwork selected by an independent panel of expert judges from hundreds of applicants. HAE’s careful vetting process also ensures a wide array of mediums and price ranges will be offered during the Festival. For additional information on the Annual Arlington Festival of the Arts and other Howard Alan Events art and craft shows across the country, visit www.artfestival.com or call 561-746-6615. 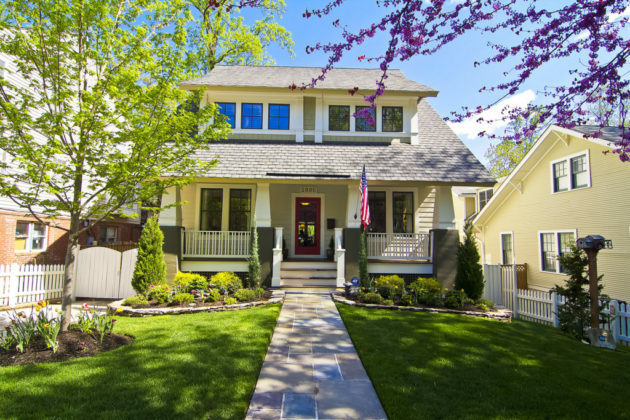 Listing of the Day: 2805 23rd Road N.
Address: 2805 23rd Road N.
Maywood Craftsman-style Custom Home built by Mickey Simpson. 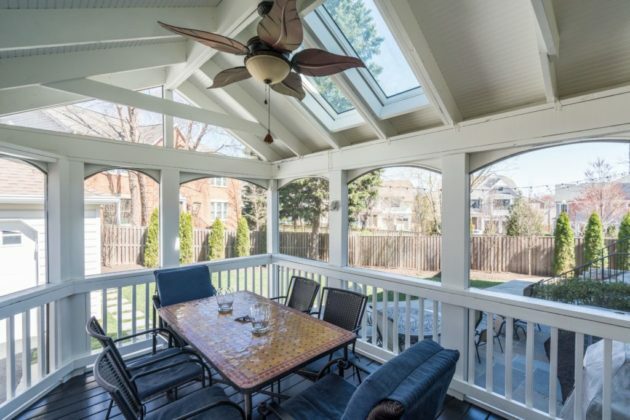 Nothing was overlooked in this gorgeous home featuring approximately 5,200 sq. ft. on 4 levels with 9′ ceilings. 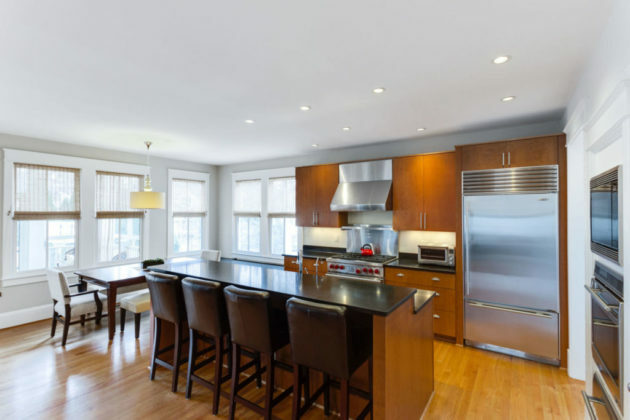 High end custom finishes abound throughout. 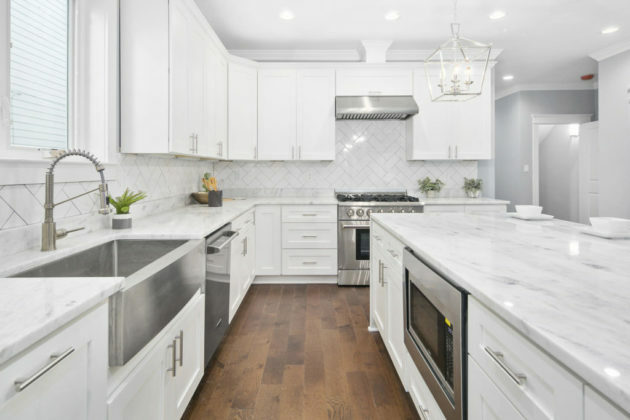 5 Beds + loft, 4.5 Baths, eat-in chef’s kitchen with high-end Wolf and Subzero appliances and breakfast bar that opens to a family room with fireplace and screened in porch, butler’s pantry, formal dining and living spaces. 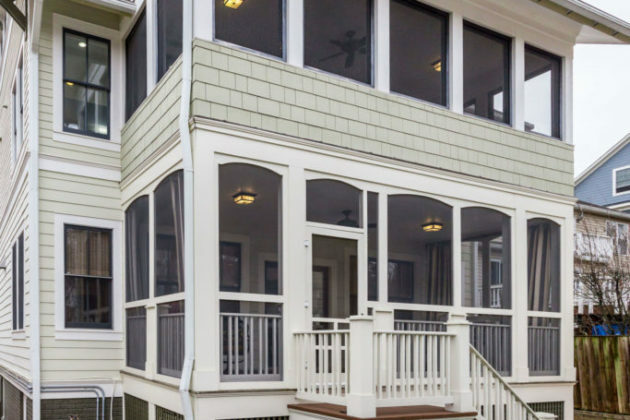 Includes spacious master bedroom with custom master bath — including steam shower and soaking tub, dual walk-in custom closets and private screened sleeping porch, spacious lower level with second fireplace, kids loft and bonus room that could double as an office or extra bedroom. 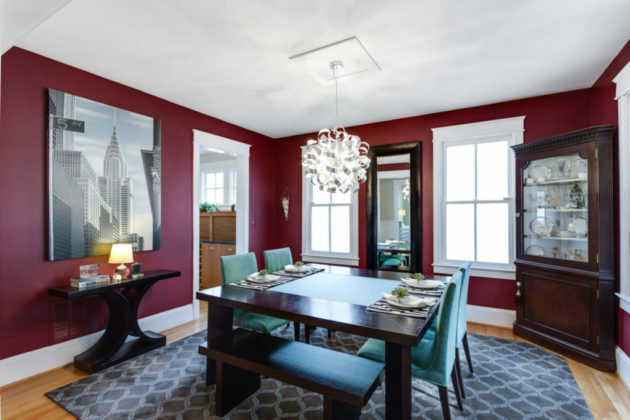 Large light-filled windows are throughout with custom window treatments. Also includes 3 zone HVAC, hardwood flooring, whole house back-up natural gas generator system, lawn irrigation system, nice landscaped fenced in yard, kids play house with swings & slide, built in sandbox, rear deck, flagstone patio and garage parking — all on a quiet street. 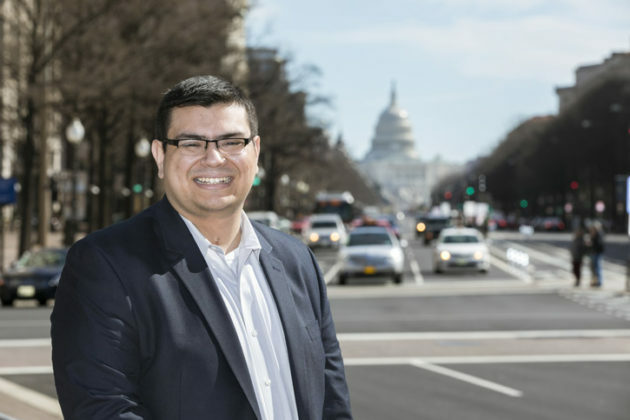 One stop light to D.C., walk to shops, restaurants, parks and playgrounds. 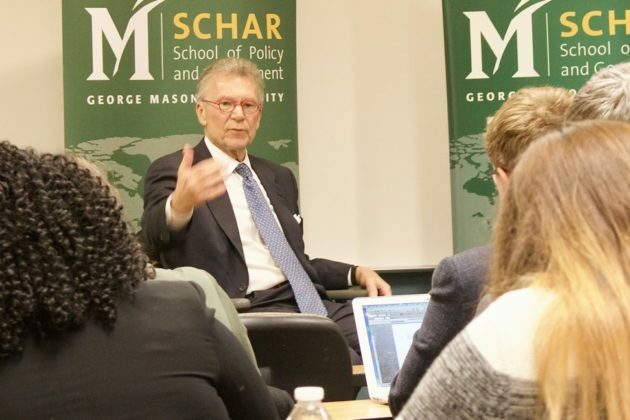 The Schar School of Policy and Government at George Mason University has been named No. 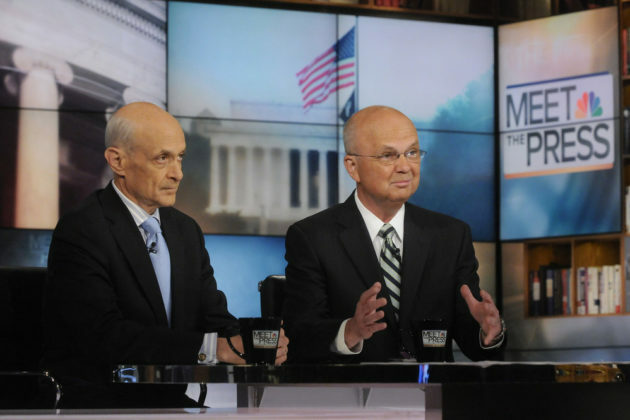 2 in the country in the 2019 U.S. News & World Report for its security studies programs. 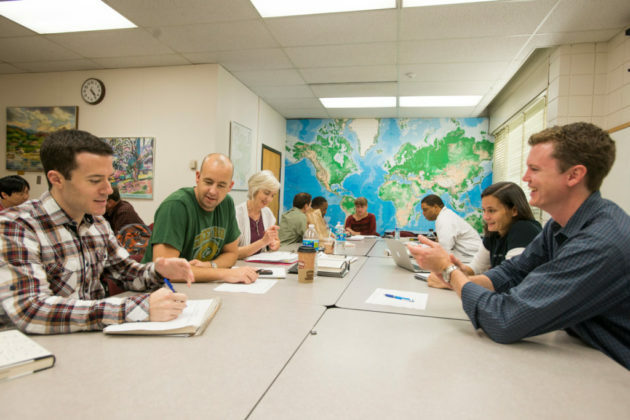 If you dream of a career in international security, homeland security, emergency management or other fields that tackle “wicked problems” around the world, the Schar School has top-rated master’s degrees, graduate certificate programs and PhD programs to help you achieve your goals. 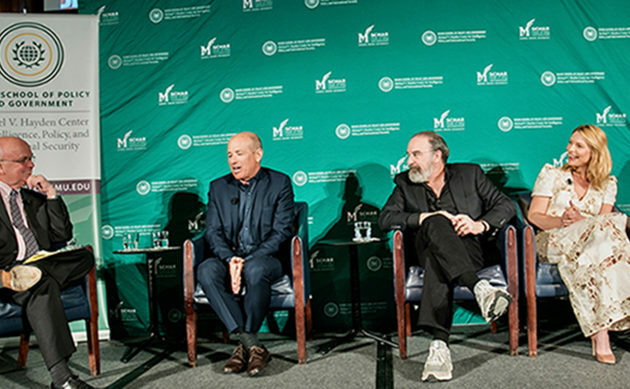 The Arlington, Virginia-based Schar School, convenient to the decision-and policy-makers of Washington, D.C., boasts a faculty that includes program former Central Intelligence Agency and National Security Agency director Michael V. Hayden, former ambassador Richard Kauzlarich and inaugural Carnegie Fellow and terrorism expert Louise Shelley. 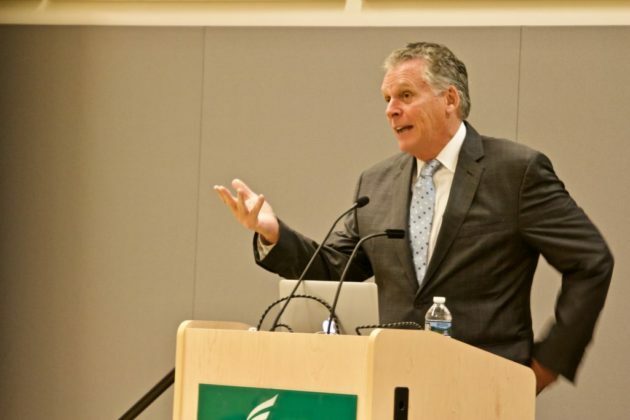 Faculty also includes border security expert Guadalupe Correa-Cabrera, former president and CEO of the Stimson Center Ellen Laipson, regional economics expert Stephen Fuller and former Virginia Governor Terry McAuliffe. 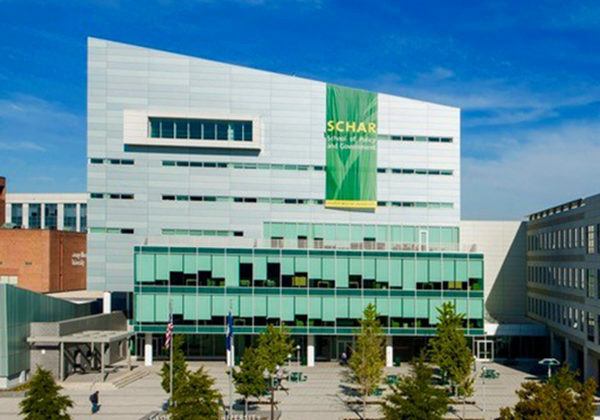 The Schar School is an important part of George Mason’s Research 1 Doctoral Universities rating as its faculty and students contribute research of consequence in fields including biodefense, homeland security, emergency management, global relations, war, elections, federalism, economics, energy and others. 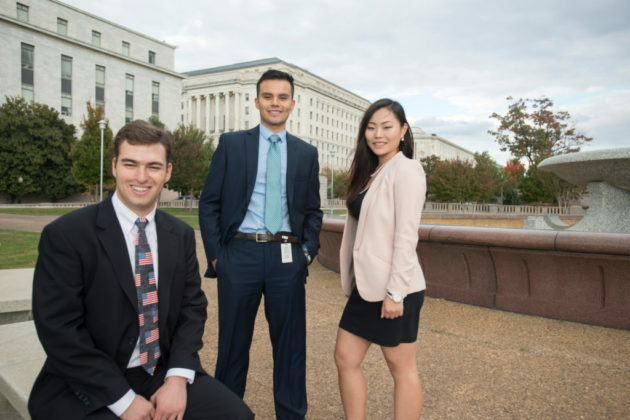 For more information about Schar School offerings, including graduate programs in Biodefense, International Commerce, International Security, Organization Development & Knowledge Management, Public Administration, Public Policy, Political Science, Transportation Policy and Operations & Logistics, click here. 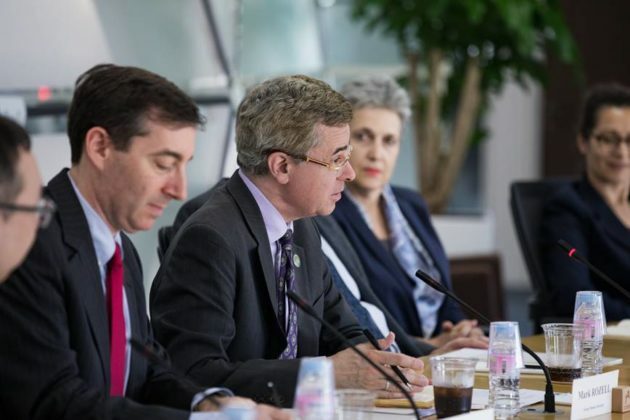 Join us for an online information session to learn more about the Schar School’s Master’s in International Commerce and Policy program. The webinar begins at noon (EST) on Thursday, April 11. The webinar is free. Register here. 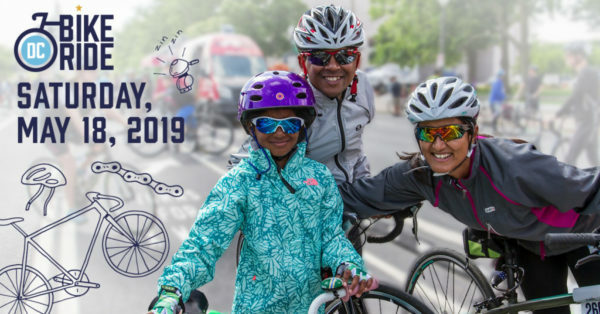 Want to ride the DC Bike Ride on May 18, but wondering how you’ll get your bike to the starting line? Worry no more! DC Bike Ride has you covered. DC Bike Ride is offering the lowest price EVER on bike and helmet rentals! Forget about having to secure your own, just add a bike and helmet rental at checkout and leave the stress behind. If you haven’t registered for the DC Bike Ride, what are you waiting for? May 18 is your one chance to celebrate life on two wheels on a car-free course. Come experience DC Bike Ride and enjoy the best sights, sounds and flavors D.C. has to offer. And if that’s not enough, as a valued ARLnow member we’d like to offer you an exclusive discount. For a limited time only, use promo code ARLNOWPP and save $10 off standard registration. Hurry before this exclusive opportunity ends on April 11. Mark your calendars for May 18 and let the fun times roll! 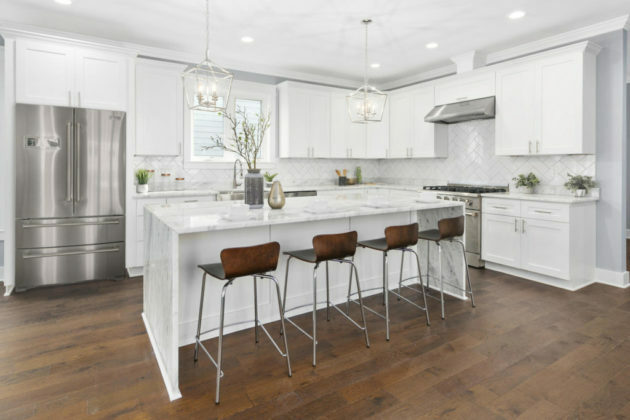 Don’t miss your chance to fully customize the finishes on this new construction craftsman home, currently under construction in High View Park. 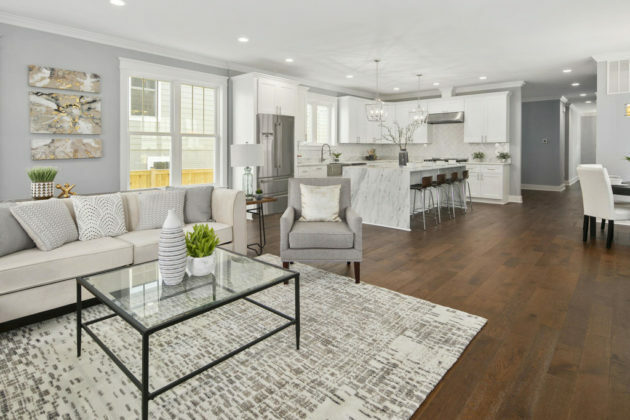 With 4,300 square feet of luxury living this 5 bedroom, 4.5 bath property built by Enhanced Homes is set for a June delivery. Photos are of a previously built model recently sold. 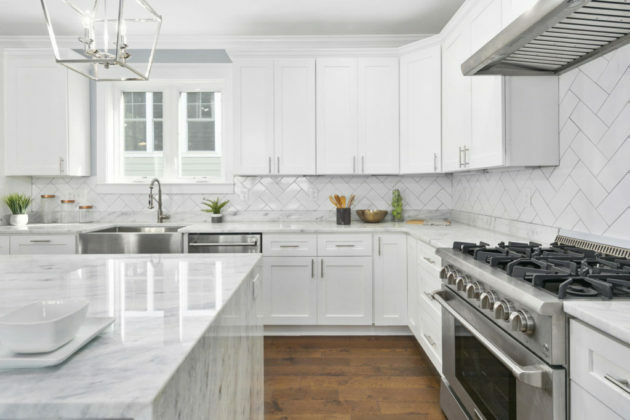 The open, spacious and light-filled main level is highlighted by the gourmet kitchen with its oversized quartz waterfall island. Open to the family room and breakfast nook, it also gives access to a large rear trex deck and fully fenced yard. Separate dining room, mudroom, half bath and garage on this level. The upper level features a large master with a walk-in closet and spacious spa like shower. 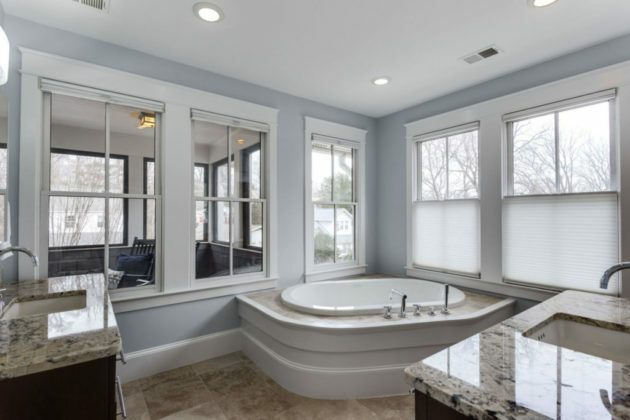 A Jack and Jill bath between the 2nd and 3rd bedrooms and a full en-suite in the 4th bedroom acts as a secondary master. Laundry room on this level includes a washer, dryer and utility sink. 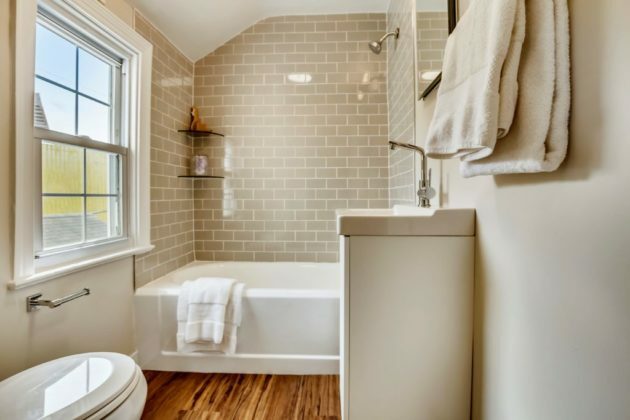 Guests will enjoy the privacy of a bedroom and full bath on the lower level, in addition to a separate walkout. 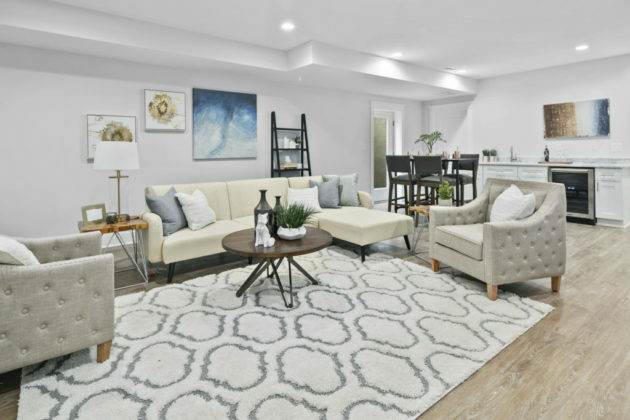 The finished basement is an entertainer’s dream with 9′ ceilings, and a wet bar, accented by a top-of-the-line wine fridge. More details and features upon request. Click here to see the 3D tour of this model. 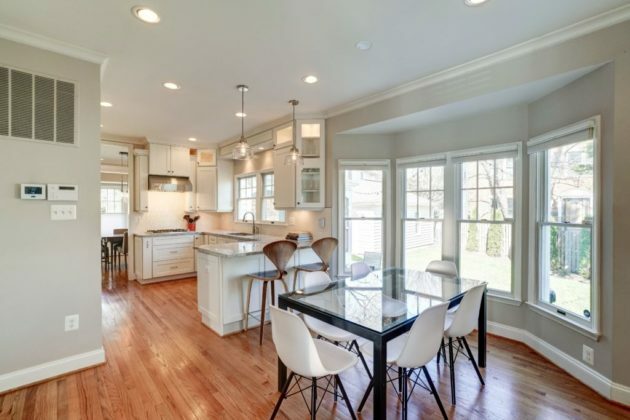 Listing of the Day: 5311 22nd Street N.
Address: 5311 22nd Street N.
Open: Saturday, April 6 and Sunday April 7 from 1-4 p.m.
Conveniently located between Westover Village and the Lee Harrison Center, this light filled colonial has everything you want. 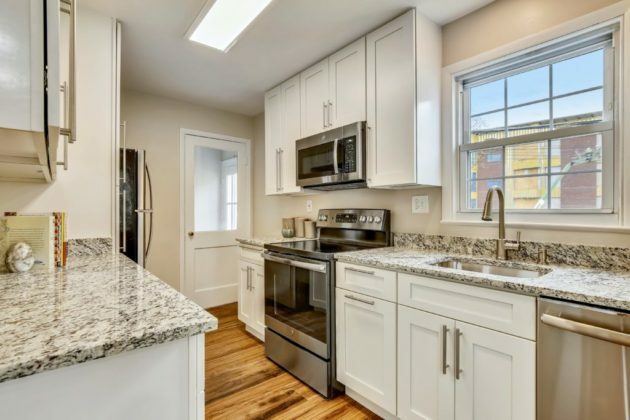 Built in 1991 and substantially renovated in the last three years, the home offers a dazzling new kitchen with crisp white cabinets, granite tops, Viking gas cooktop, oven and range hood; KitchenAid refrigerator, microwave and dishwasher. The kitchen is open to the breakfast area with butler’s pantry featuring a U-Line wine fridge, sink and glass front cabinets. The adjoining mudroom and laundry has additional cabinet storage and an energy efficient Maytag washer and dryer. 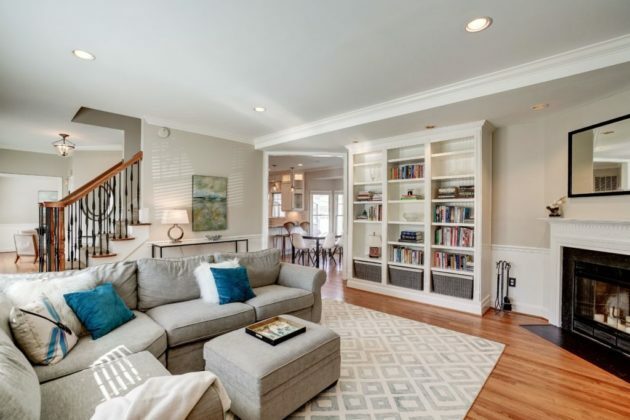 Just off the kitchen, the family room is a cozy spot with built in book cases flanking the fireplace. 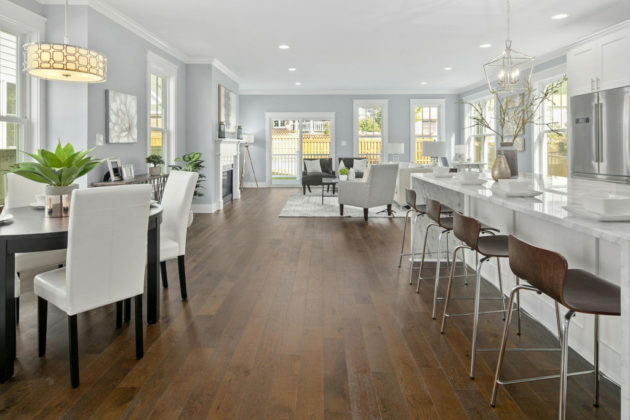 The traditional living room flows into the kitchen and dining room with door to the screened in porch, making the home ideal for entertaining and daily living. 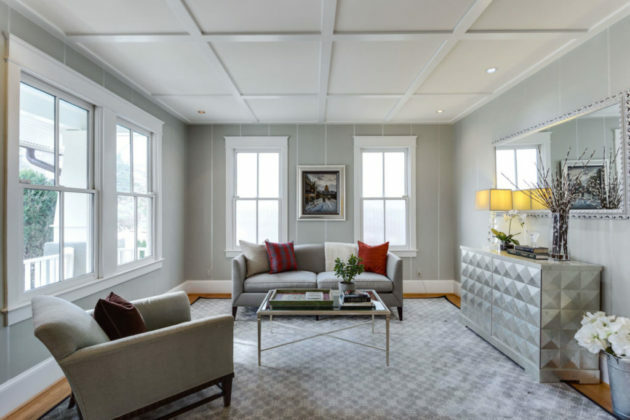 Wood floors, recessed lighting, architectural details and stylish decor add appeal. Upstairs the master suite includes an updated bathroom, walk in closet, sitting area in the bedroom and wood floors. 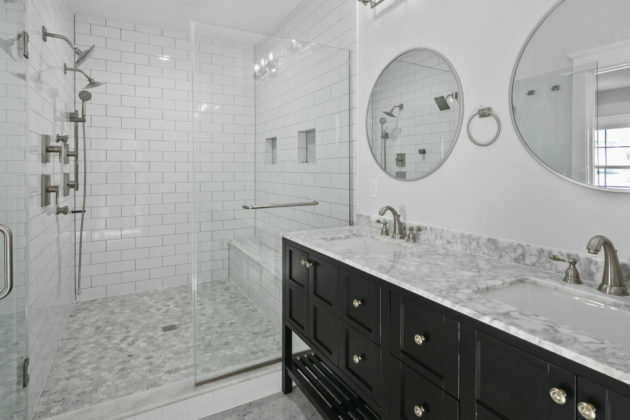 The renovated hall bathroom has a double sink vanity and custom tile in the bathtub surround. Three large bedrooms complete the floor. The lower level was re-designed to open the space for a big rec room. Built-in desks and bookcases center the room and a door leads to the back yard. The fifth bedroom and new bathroom on this level are perfect for an au pair, in-law or pampered guest. A big storage room is also on this level. Important upgrades include a new large capacity electric panel with whole-home surge protector and an emergency generator sub-panel. Carrier Infinity 4-ton, 16 SEER air conditioning and Carrier Infinity 96% two-stage gas furnace and Carrier thermostat. 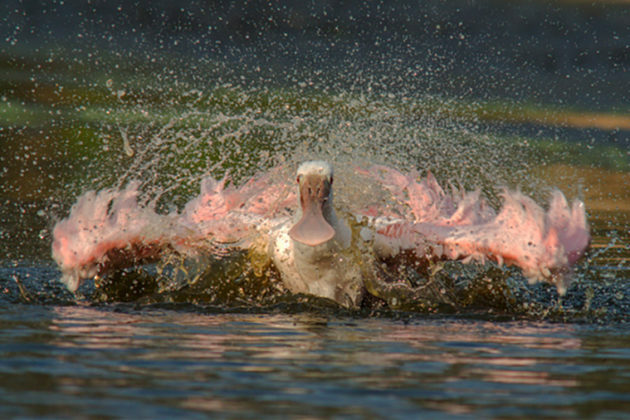 An A.O. Smith 50 gallon pro max power vent water heater ensures comfort. 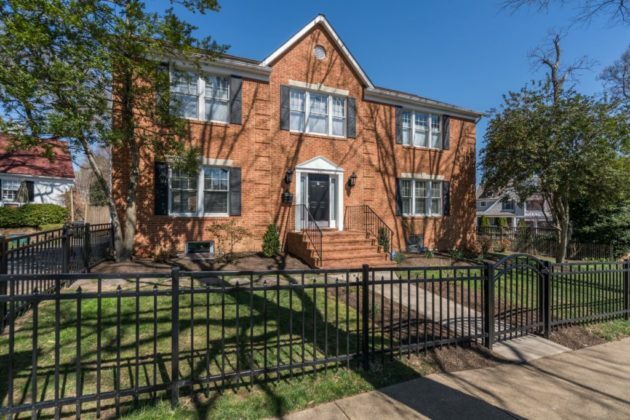 The home is encircled by a new black wrought iron fence and features a refurbished detached garage. New landscaping and stone patio highlight the sunny, level back yard. Walk to Big Walnut Park, Lacey Woods Park, library, farmer’s market and ART bus to Ballston Metro. Nottingham Elementary, Swanson Middle School and Yorktown High School are nearby. All the work has been done — nothing to do but move in and enjoy!